During January 2019, the Master Company incurred a total joint production cost of $10,800. Required: Allocate the joint production cost among joint products using market value method. There was no finished goods and work-in-process inventory at the start and end of the year 2019. 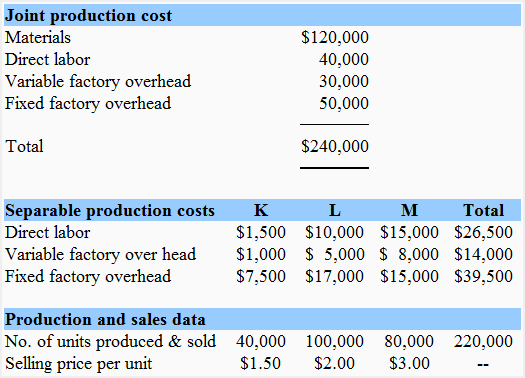 Required: Allocate the joint production cost to all three products and compute the gross profit of each product. Gross profit is equal to ultimate market value less total cost.